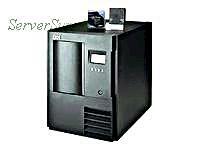 IBM - 3583-L72 IBM - 7.2/14.4TB LTO ULTRIUM-1 72-SLOTS SCALABLE SCSI EXT TAPE LIBRARY (3583-72). IN STOCK. SHIP SAME DAY.